« See New York City’s History via Virtual Reality – On a Bus? A real life property battle has been going on in Orlando for months now that mirrors a backstory of a local attraction. And it’s hilarious. First, let me get you up to speed. If you don’t live in Orlando you may not have caught wind of the stand your ground story of Julieta Corredor. You see, Corredor bought a condo from Westgate Resort in Orlando back in 1984 for $154,000. This condo is located just off of Turkey Lake Road, which is a few minutes away from Sea World. It’s important to note that Ms. Corredor does not live in this condo, rather she lets her family use it whenever they decide to visit Orlando. This is all fine and dandy until Westgate Resorts decided it wanted to demolish their existing condos and build new ones in a high rise building. All of the existing owners agreed to sell. Except Julieta Corredor. She refused to sell even though Westgate offered her $150,000 plus expenses (yes, that is less than what she paid). So what does Westgate do? They destroy all other condos and start building their new ones. You got that right, Westgate Resorts has been doing construction all around this condo that still had the owners belongings in it. She owns the property and she pays taxes on it. It is hers. So that means they have to go elsewhere, right? Wrong. It ended up going to a vote in Orange County and Corredor lost the rights to keep her property in a 6-1 verdict. Soon enough, this condo will be bulldozed despite being in a standoff for years. Why do I find this so interesting? Because a local resort used the same backstory when it opened. 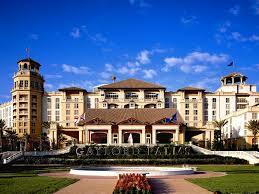 Gaylord Palms Resort opened in Orlando just minutes away from Walt Disney World in February 2002. If you’ve never been inside this place, it is truly stunning. Many of the locations underneath the glass dome are modeled after places you can find in Florida. 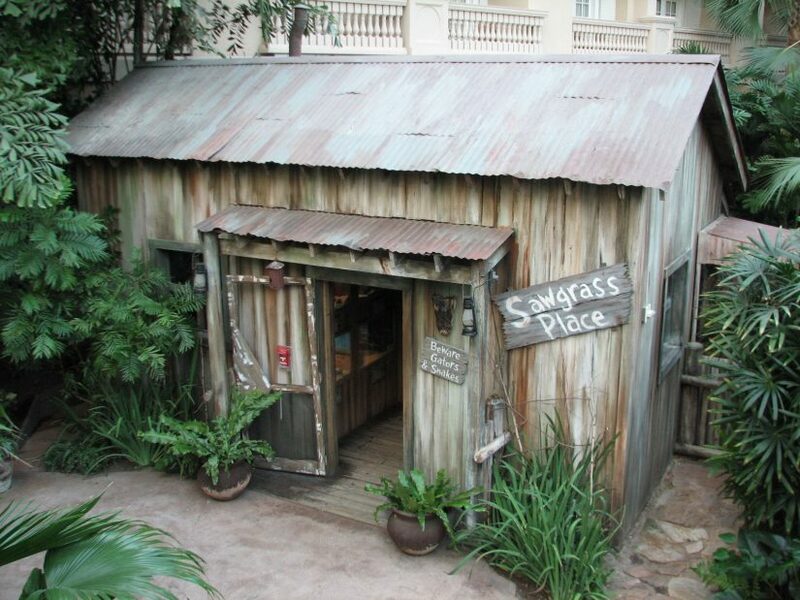 One of which is a cabin known as Sawgrass Place. Set to look like it just came from the Okefenokee Swamp, this little shack is now filled with terrariums that house critters one can find in murky Florida waterways. Now you’ll have to believe me here, but this cabin used to be “inhabited” by actors who “lived” there. 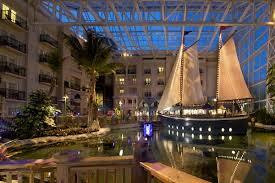 As a matter of fact, there were atmospheric actors roaming all over Gaylord Palms when it first opened. Golfers, pirates and even rednecks from Kissimmee. In February 2002, just after the resort opened, here is what I encountered after entering Sawgrass Place. Just beyond the door there were clothes being hung out to dry inside the cabin. There were bunk-beds, a small living room area and, most importantly, framed on the wall was a check from Gaylord Palms to the family who owned the cabin. Made out directly to them in the amount of $1 million… ripped in half. 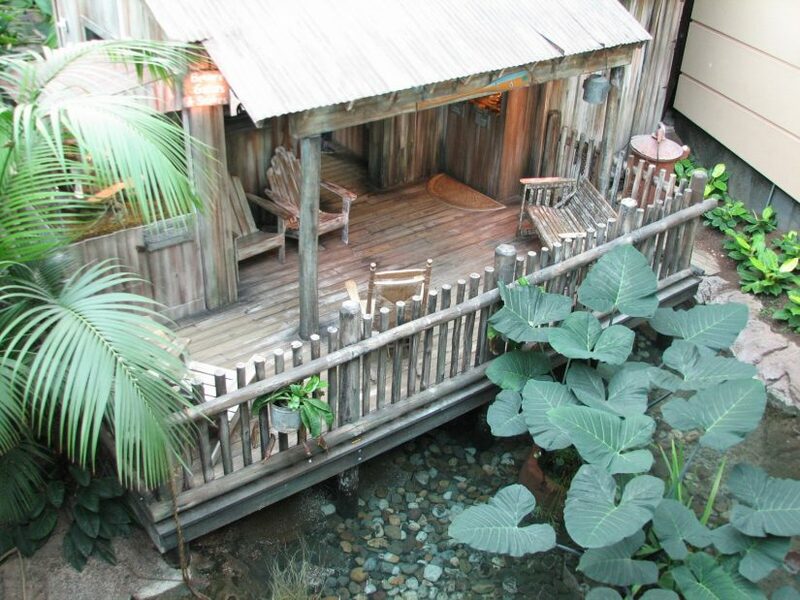 Yes, according to the backstory of the resort, Gaylord Palms was actually built around the Sawgrass Place cabin. On the back porch were rocking chairs and a porch swing that were occupied by actors playing brother and sister wearing rolled up overalls. They were eager to have house guests and spent over an hour telling me about how Gaylord offered them all the money, but they refused to sell and quit their job at the local Wal-Mart on 192. At one point a boombox came out and they played CDs and taught me how to line dance. I am 100% serious. This actually happened. 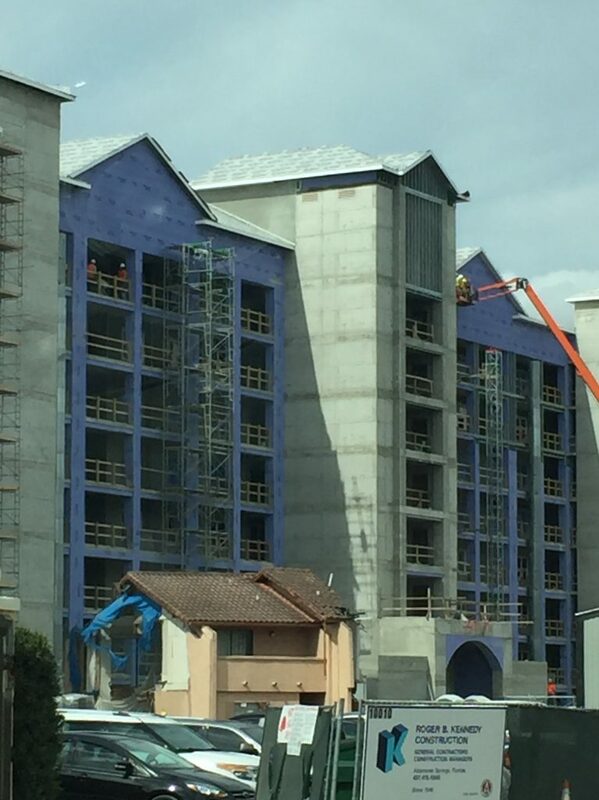 Every time I pass by the Westgate Resort and see Julieta Corredor’s condo, I can’t help but think about that million dollar check on the wall at Sawgrass Place in the Gaylord Palms. Who knew fiction would mirror fact right down the road nearly 15 years later? 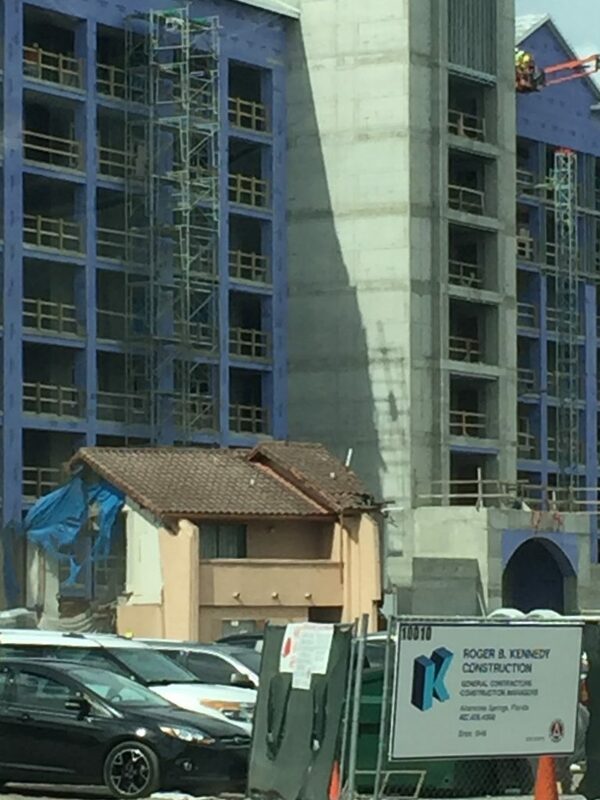 This entry was posted in Outside The Parks and tagged Condo, Gaylord Palms, Sawgrass Place, Westgate Resort. Bookmark the permalink. Trackbacks are closed, but you can post a comment.